All actors and actresses have to start somewhere, so here’s our top five list of relatively unknown actors who were made into a superstars thanks to appearing in a successful movie. Christopher Reeve achieved worldwide stardom when he played the title role in Superman at the age of 25. Prior to this he had had roles in college plays and then at the renowned Julliard College. 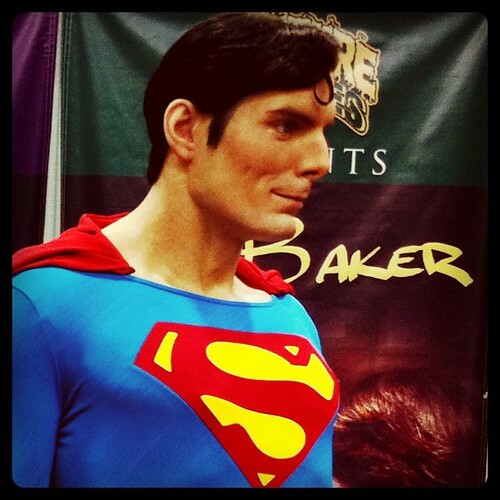 Casting directors has previously rejected Reeve three times for the Superman role before the casting director pleaded with the director who eventually gave in. Following a meeting between Reeve, the director and the producer, Reeve was sent a 300 page script. He then went for a screen test after which he was offered the role. The film grossed over $300 million and Reeve received positive reviews. He went onto star in a further 3 Superman sequels and others include Somewhere in Time with Jane Seymour which he considered to be his best film and Street Smart for which he received his first Academy Award nomination. Sadly, following a riding accident, he was made a quadriplegic and after many infections, died in October 2004. Having previously acted in the BBC’s David Copperfield and the film, The Tailor of Panama, Daniel Radcliffe was picked from obscurity to play the title role in the Harry Potter films. After being asked, his parents did not tell Radcliffe about the audition as it required filming in Los Angeles, which they were unhappy with. It was at the director’s request that his parents relented and after further auditions, he was offered the part. 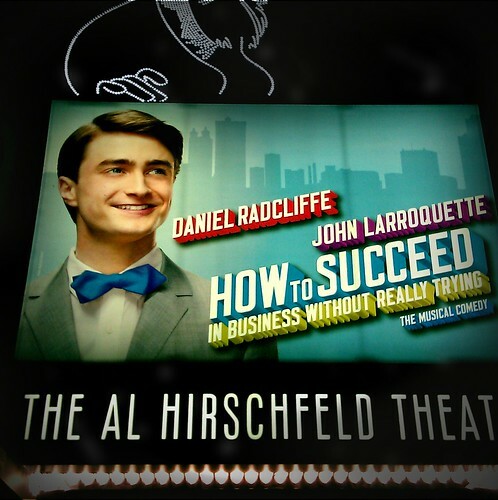 Radcliffe went onto star in the remaining 7 films and has also had success in the West End with Equus and on Broadway in How to Succeed in Business Without Really Trying. Due to be released in 2012, The Women is Black is Daniel’s first film project since the Potter series. It was reported in 2010 that Radcliffe’s personal fortune is estimated at £28.5 million, which makes him richer than both Princes Williams and Harry! Along with Daniel Radcliffe, the Harry Potter series also shot Hermionie’s Emma Watson to fame. Having previously only acted in local Stagecoach productions, in a 2007 interview with Parade magazine she said she had no idea of the scale of the films and if she had then she would have been overwhelmed. After her parents divorce when she was five, Watson moved from Paris where she was born to Oxfordshire with her mother and younger brother. Non Potter works have included a BBC adaptation of Noel Stretford’s Ballet Shoes and the voice over for Princess Pea in the animated The Tale of Despereaux. Aside from the acting world, Emma has been the face of Burberry and Lancôme and collaborated with fair trade fashion label, People Tree to design pieces for their clothing line. Prior to making her breakthrough in Slumdog Millionaire, Freida Pinto had presented a travel show for the Zee International Asia Pacific channel and featured in advertising campaigns such as Vodaphone India and Wrigley’s. Pinto auditioned for Slumdog Millionaire and after being short-listed, Danny Boyle selected her to play Latika, the love interest of Jamal. From this, Pinto was nominated for a BAFTA and MTV movie award and won the Screen Actors Guild for Outstanding Performance by a Cast in a Motion Picture. From this she has gone on to co-star with Antonio Banderas, Naomi Watts and Anthony Hopkins in Woody Allen’s You Will Meet a Tall Dark Stranger, the 2011 Rise of the Planet of the Apes and Black Gold. Robert Pattinson had a successful start to his modelling career at the age of 12, but within four years the work had already started to decline. Following this he had minor roles for television and film, although his scenes in Vanity Fair were later deleted, but this eventually led to a successful role as Cedric Diggory in the film Harry Potter and the Goblet of Fire. From here he landed the lead role of Edward Cullen in the Twilight series by Stephanie Meyer and after the release of the first film, was propelled into stardom. For this role he was nominated and won many awards including Teen Choice Award for Choice Hottie and MTV Movie Award for Best Kiss. He has followed this success with presenting the 81st Academy Awards, staring in Water for Elephants with Reece Witherspoon and is due to appear with Uma Thurman in a film adaptation of Bel Ami. This collection of stars was brought to you by Show and stay – giving you the best deals on London Theatre Breaks.